Born in Baltimore, Maryland. Inspired in 1943 seeing a Dante show. Former head of an ad agency and marketing syndicator (Becker-Kanter). Top-line mentalist, particularly noted for his creativity and writings. Semi-pro c1969 - c1984 and pro since then. Internationally acclaimed mentalist, author, lecturer and winner of the prestigious "Mentalist of the Year Award." Recipient of the Psychic Entertainers Association Achievement Award for outstanding contributions to the art of mentalism. Awarded Lifetime Membership in the Psychic Entertainers Association. Winner of the Milbourne Christopher Foundation Literary Award for notable contributions to the Art of Magic. Author of four best selling books on mentalism and magic. And in July 1999, Larry Becker was inducted into the Society of American Magicians Hall of Fame. In June 2000, awarded The Lederman Award by the Psychic Entertainers Association for outstanding creativity in mentalism. Holder of England's prestigious Magic Circle MIMC with Gold Star. Larry Becker is a name in mentalism that doesn't need any introduction. Here he performs a 40-minute show in front of a live audience and then teaches every nuance of every effect performed except the last effect. Larry Becker is an internationally recognized power house of mentalism. He has created some of the most baffling and amazing mental miracles and has performed his brand of mentalism all over the world. His innovations and creations are many. In these videos he will perform and teach several of his masterpieces. The performer states that for thousands of years, devices have been invented and used to measure and keep track of time. The first time measuring obelisks and water clocks were introduced in Mesopotamia and Egypt as early as 2000 BC. Tonight, he continues, we're going to explore both time and its relation to man's ability to project images telepathically. The spectator removes one card from a full face-up deck and places it into an envelope. This happens while the mentalist turns his back so that he can't see which card the spectator chooses. The remaining deck is gathered and turned face-down by the spectator. The envelope is closed and shown from both sides to demonstrate that nothing can be seen through the envelope. Then the envelope is placed by the spectator inside another envelope. Watch Larry Beckerʼs reputation making, edge-of-your-seat performance of this acknowledged classic, recording live at a real world, after-dinner performance. Next, sit in on a private round table discussion covering a full explanation of this death defying presentation, including the uncut and unrehearsed crucial preshow interview and participant instruction. Nothing is omitted. Every aspect from weapon selection to safety precautions is covered in complete detail. There is even a special selection of hilarious out-takes! More wonderful and baffling routines by the creative mind of Larry Becker. 1st edition 1981; original 66 pages; PDF 52 pages. This is the second volume in Larry Becker's series of mentalism. More of the same outstanding mentalism. In the epilogue of volume 1 Larry wrote that this might be his first and last book depending on the response he will receive. Well, the response was overwhelming and Larry answered with an even larger volume of astounding routines for mentalists. There is enough material for several full evening shows. And with a bit of thought you can use Larry's methods and principles to come up with your own unique miracles. Here is volume one: World of Super Mentalism I . This was Larry Becker's first book which is now available in a new layout and design as ebook. 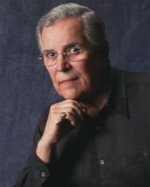 Anybody into mentalism knows the name Larry Becker who was one of the most creative forces during the 70s, 80s, and 90s. Unbelievable are his accomplishments and honors. He was winner of the "Mentalist of the Year Award", "PEA Achievement Award", "Milbourne Christopher Foundation Literary Award", "The Lederman Award", he was inducted into the "SAM Hall of Fame" and the list goes on.